Retired New Brunswick truck driver, Larry Adair, came out of retirement to aid flood victims in Ottawa. Larry Adair has been retired from truck driving for 20 years. But he came out of trucking retirement for one very important delivery. Adair is one of many New Brunswickers taking up the cause to help flood victims far from home. Adair drove from Moncton to Ottawa with a large semi-trailer truck filled with construction supplies to aid those affected by flooding in Ottawa and Gatineau. When Steve Joudry, a co-ordinator of Samaritan’s Purse Disaster Relief program, called up his friend Adair to ask him to make the trek, he said yes. 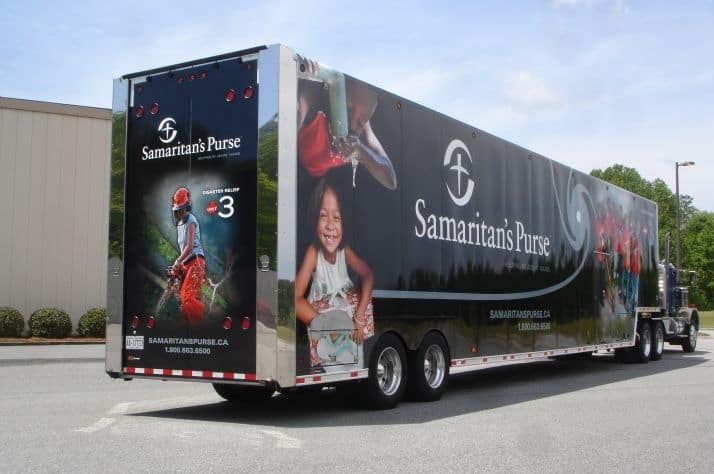 Adair and Joudry first connected in 2014 when the Sussex area faced flooding and needed the help of the Samaritan’s Purse Disaster Relief program. Adair owns Adair’s Wilderness Lodge in Waterford, just outside of Sussex. When the volunteers came to help with the flooding in Kings County, Adair opened up the lodge and provided them with free housing while they worked. “That was our commitment to help the people of Sussex who had been flooded at the time,” Adair said. “Larry has been very good to us,” said Joudry. Since then Joudry and Adair have remained friends. And when Joudry needed a volunteer with truck driving experience, he knew Adair was the man for the job. Adair said he feels strongly that it’s important to help those in need wherever they might be. He said he remembers seeing the great work done by Samaritan’s Purse volunteers when Sussex needed their aid and that it’s important to him to give back. “You never know when we might need them again,” he said. A group of highly skilled volunteers will be flying to Ottawa from all across the country to provide free construction work to the damaged homes. “They strip your basement and put it back in order so the contractor can come in and set it up. A lot of people don’t realize how much work they do,” said Adair. The large truck is filled with everything needed to fix the damaged properties that were affected by flooding. The truck is meant to act as a mobile construction shop for the volunteers’ use. The truck and all its contents are staying put at the Metropolitan Bible Church in Ottawa until the volunteers have completed the construction needed. Adair and Joudry both said they don’t know when that will be. They guessed it could be anywhere from four to twelve weeks. 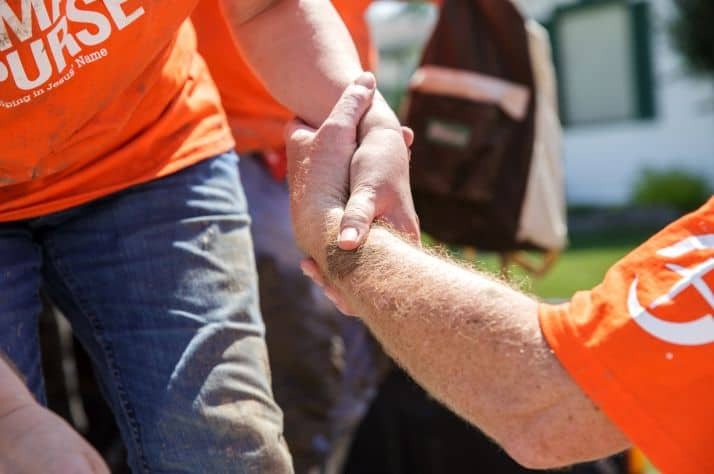 The volunteers will be focusing on the Constance Bay area of Ottawa, it was one of the communities hit hardest by the flood of the Ottawa River. They will also support Gatineau communities that are in need. When it is time for the truck to come back to Moncton, Adair will head to Ottawa to be the one to drive it back. Adair said he is looking forward to being able to help once again with the return of the truck, and that this work is important to him. “I feel very good about it,” he said.